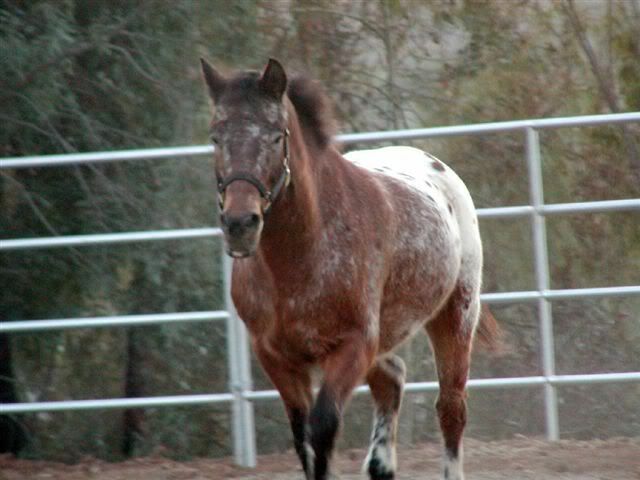 I bought a 4 year old gaited morgan stallion , unbroken. He isn't coming right home cause 2 things have to happen, balls gotta go and the Hardins are gonna train him to be a great trail horse. He will be home for my birthday on June 1st.Nice Bay with a stripe and a couple of socks. Once again If I can figure out things I will get a picture up! Congrats! I'm sure Deana & Barry will do a great job with him! Thanks heavens you're sending him to the Hardins! You need an unbroke horse about like you need another broken leg. I have only heard awesome things about the Deanna and Barry. I liked the Glenn Hamilton in Kentucky also but wanted someone really familiar with gaited horses also. Some say they are trained the same wether gaited or not but why take the chance when I know there are people like the Harden's that make your trail horse into all they can be!! Good examples of Barry & Deanna's training methods is EZ's Warsong, my very own Terra, and for those who remember her, Donna's Red. When all three of us used to ride together, we were a living ad for the Hardin's. Beautiful! Looks like he is going to be a challenge, though. Good thing you are sending him to the Hardins! Handsome boy. Yoiu are truly in horose heaven! Appearently his handling is not going well as Glen called and won't let him go till at least 2 months after castrating as he is being aggressive, so I politely declined for now. Back to looking! Good luck on finding the perfect horse for you. Oh good! I really hated to see you another green horse. You DO NOT NEED to get dumped again. 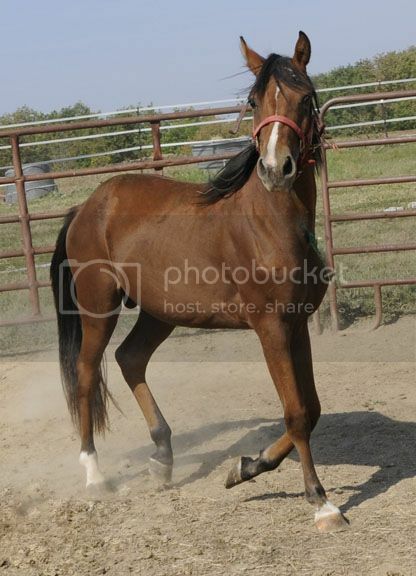 I hope that the soon to be gelding gets over what his problem is and can find a good home but NOT WITH YOU!! just stunning! shame he's got attitude issues. No one needs a horse with potential to dangerous. good luck with finding right partner. I have to agree with PG; kind of a relief to know you are going to pass on him. I know you can't really go by a picture, but my feeling when I saw it was that this was an unstable and dangerous horse. For sure, you can find something with a more quiet disposition that would be a better trail prospect. Your two fillies send out "sensible" vibes to me; why not save your training money and spend it on them? Of course, I realize that doesn't give you something to ride NOW, LOL!